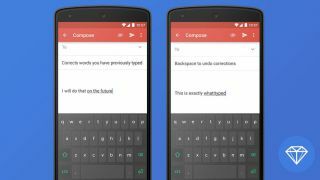 SwiftKey has been correcting spelling mistakes the world over since it first launched on Android in 2010 – but now it wants to go further than fixing individual words. An experimental new app from the company, entitled Clarity Keyboard, aims to correct full sentences and improve upon the normal typing experience. The sentence correcting feature is entitled "multi-word autocorrect" and it looks back at your full sentence to see if it is coherent or if you've included some jibberish. If you tap backspace you'll also undo all the auto changes the app has done. Clarift also automatically learns the way you speak, similar to how SwiftKey works. The app is still in its early stages and you can download it from the Google Play Store now, but don't expect a solid experience just yet. We've had it downloaded for half an hour or so now and already hit a few "damn you autocorrect!" moments.